You are not alone in this, I have also been wondering that at one point. To make you a bit wiser, I have written this article where I explain the difference between them and in which cases they should be used. But one doesn’t have to exclude the other. You can actually use both a powerline adapter and a WiFi extender to get a better network at home. Let’s take a look at both of them. A powerline adapter is a great little device that will help you access network in places where you don’t have any possibility to run a network cable. The way it works is that you get two devices with a wall plug and an ethernet port on both of them. You place one device close to your router and the other one in another room, close to the computer that needs internet access. You then run a network cable between the router to the adapter and in the other room, you run it from the adapter to the computer. The adapters will talk to each other and the first adapter will provide internet access to the second one, which in turn, will provide internet to the computer. But how does this work? Well, what type of cables do you have on the walls in your house, connected to all the power outlets? Power of course. A powerline adapter will send internet through the power cables that are inside the walls of your house. Many powerline adapters do also feature a power outlet as well so that you don’t have to offer a wall outlet simply for this. 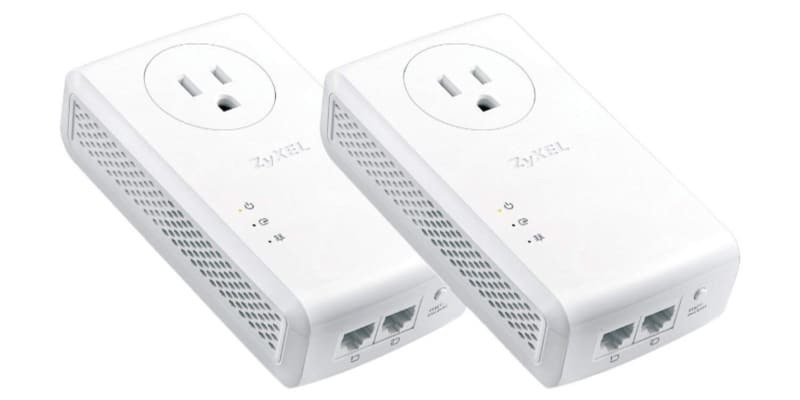 The Zyxel AV2000 on Amazon is such a kit, where it has outlets on the back of it. They also support two ethernet ports if you have more than one device that needs connection. It is nowhere as fast as a regular network cable between the router and the computer since the electrical grid is not made for network. Power can also interfere with the network signal, which further damages the signal. However, it’s a very easy and convenient way to get a stable internet connection to a device that is far away and doesn’t support a wireless network. There is an obvious advantage to powerline adapters and that is of course that you do not have to run a network cable through the whole house simply to get the kids computer connected to the internet. It can be neatly hidden in the walls and everything will be fine. 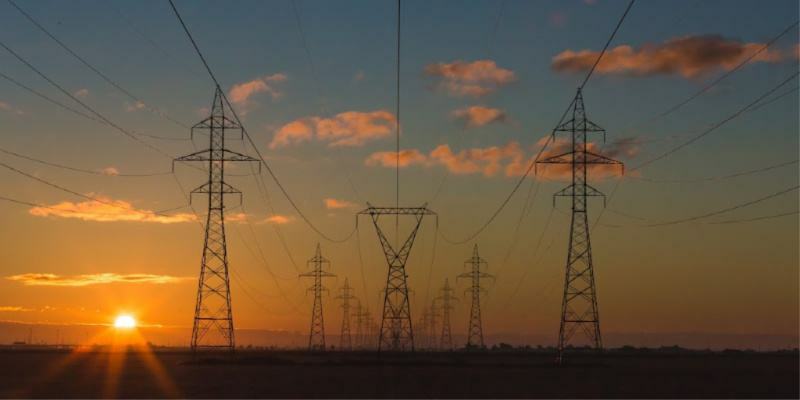 As powerline adapters are a wired connection there is no danger of wireless interference from neighboring networks. Latency times are better as well with this wired connection approach. It also provides a stable connection which is preferred for high bandwidth activities. There is no need for any configuration or setup of powerline adapters. They are paired together directly from the factory, so they will auto detect each other. It is a true plug and plays solution. Powerline adapter speeds have improved significantly. These days, it’s not uncommon for a powerline adapter kit to provide gigabit speeds. You will never get gigabit speeds over an electrical grid and the speed you get is impossible to say as it will depend on how old the house is and how the wiring looks inside the walls. However, getting adapters with gigabit support will exclude them from being a bottleneck at least. The security of powerline adapters is very good. 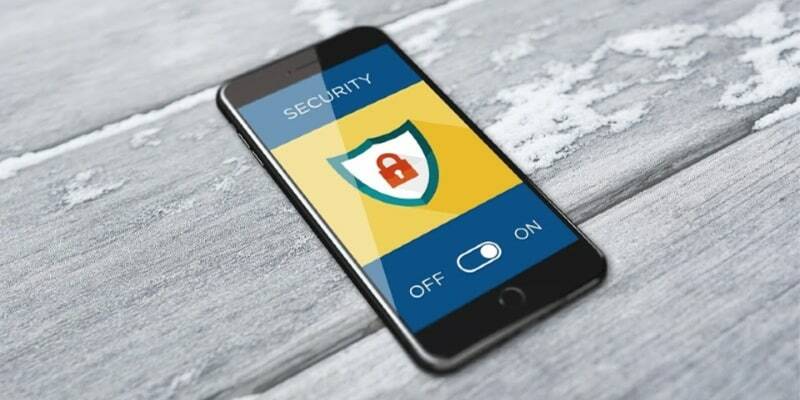 Most adapters use 128-bit encryption which stops other people in your home or office simply plugging into an electrical outlet and intercepting the data. The confining of the data signal to the residence means that people outside of the residence cannot intercept data transmission. But anything that has something good with it also comes with a disadvantage or two. While powerline adapters are a good solution many times, it can also be quite the problem and I would say that the reason why you may never have heard of them before is that of the long list of disadvantages. If you live in a house with old electrical wiring in the walls, powerline adapters may not work at all. This is because the shielding in older houses is not very good which will interfere and, in the worst case, cut the signal completely. There is no way of knowing until you have purchased a powerline adapter to see if it works or not. Although it is very easy to get powerline adapters working with their auto-detect feature and no requirement for drivers or setup configuration, if they do go wrong then there is not a lot you can do to try and fix the problem. You cannot make any adjustments to powerline adapters. Electrical wiring, however modern, can suffer from electrical interference. There have been a number of cases where high load appliances have caused powerline adapters to malfunction. These appliances include vacuum cleaners, refrigerators, and microwave ovens. You need to plug a powerline adapter directly into an electrical outlet which may not be convenient. It is not advisable to use a surge strip as any power outages will interrupt data streams. Power adapters are usually pretty large and will usually block an electrical outlet totally meaning that you cannot use the second outlet. The solution to this is to get a powerline adapter with an outlet on it as well. A powerline adapter kit will only allow you to connect one or two devices to a router. This can work out to be expensive with most powerline adapter kits costing from $50 and up. It may be a better option to purchase a budget router and set it up as a secondary router, something I have written a guide on how to do here. Most powerline adapters will consume electricity even when not in use. The good ones have a sleep mode but even then, a small amount of electricity is used. My guide on how to connect two routers together might be of use. A WiFi extender is different from a powerline adapter in that it does extend the range of a wireless signal. There are no Ethernet cables supplied with WiFi extenders as they connect to the router wirelessly as well as the devices that they are serving. The main function of a WiFi extender is to repeat the wireless signal from a wireless router and expand this signal to cover areas that were not previously covered (weak signal or no signal). It works like a bridge because it captures the wireless signal from the router and then rebroadcasts it. When you use a WiFi extender you will need to do some configuration work. If you have a computer or other device that is in a weak signal area from the main router then you will need to switch the device over to use the network created by the WiFi extender. This will be necessary even if the WiFi extender is a lot closer to the device than the router. It is important that the WiFi extender is placed in the best position so that you get the maximum signal strength for remote locations. In an ideal world, this would be at the halfway point between the router and the farthest device. In reality, you may have to move the WiFi extender around until you find the position that offers the best results. The main benefit of using a WiFi extender is that it will boost the coverage of an existing wireless signal from a wireless router. Unlike powerline adapters, several devices can access this boosted wireless signal provided by the WiFi extender. When it comes to the cost of a WiFi extender, the price is often cheaper than a powerline adapter. It’s not hard to find a good extender for less than $50. Of course, the more you pay, the better the WiFi signal will be but if you just want to do some work on your laptop, getting a cheap range extender is not a bad idea. A WiFi extender that I recommend to my friends that isn’t as keen as I am to have cables through their apartment, is the TP-Link AC750 on Amazon. I find it to do a good job for its price. It’s rather good-looking as well. 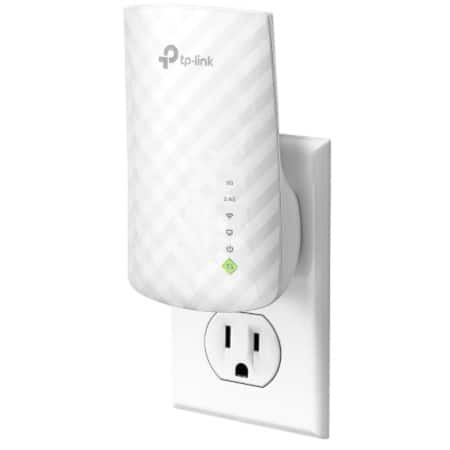 The TP-Link AC750 is a popular WiFi extender. If you only have a single wireless router then it will struggle to overcome physical obstructions that can significantly weaken the wireless signal. A carefully placed WiFi extender can avoid these physical obstructions ensuring the maintenance of the wireless signal strength to remote devices. The biggest disadvantage to using a WiFi extender is that the bandwidth is half that provided by the main router. The WiFi extender has to receive the signal from the router, process that signal and then rebroadcast it for remote devices. It has to do the same thing in the other direction as well when the device transmits data to the router. In order to get the best possible performance from a WiFi extender, it must have a similar performance specification to your router. If the WiFi extender performance is a lot less than your router then everything will slow down for the remote devices, it is serving. More performance means spending more money and it is easy to get this wrong. Your WiFi extender needs to match your router’s WiFi standards. If you have an AC router and you purchase an N standard WiFi extender, then you will lose a lot of performance. There are dual band WiFi extenders available that can work to either the AC or N standard, but these are more expensive. When you use a WiFi extender you will expand the range of your WiFi signal which means there will be a greater chance of people outside of your home or office hacking in to your wireless network. Although you can protect a wireless network some determined and experienced hackers will be able to breach this security.